Reaching to the puberty age, some of the areas of the body grow unwanted hair and these are called as pubic hair. These hair neither have a specific kind of function to perform nor have an advantage in your body but naturally produced. It needs to be removed again and again. For the first time, you do not have an experience for how to remove, what is the better technique, what kind of equipment is used to remove these hair, all of these questions arise in your mind. At this stage, you will need a proper guidance so we have compiled various methods of clean-up the bikini area without hurting. Shaving is known to be an easiest and comfortable method to get rid from hair anywhere but if it comes to most delicate areas like bikini, it turns to be a hard procedure to perform. You might be having some initial preparation before going to apply a shaving tool. You should think of some important and basic points while following the method. Trim your hair with a pair of scissors if you are doing first time. Clean the area using lukewarm water. Before starting shaving, apply shaving gel and leave it for few seconds. Stretch your legs a part using one of your hands. Place a razor on the hair in the direction where the hair grows from. Once you are done, wash the area with water then pat dry the area. At last, apply a good moisturizer to avoid any itching and burning sensation. Wear loose and comfortable underwear. Shaving is a cheap method. It never needs others help. It is a painless method. After shaving, pubic hair will grow rapidly so you would have to do it more often. Cuts will appear if done in a wrong way. 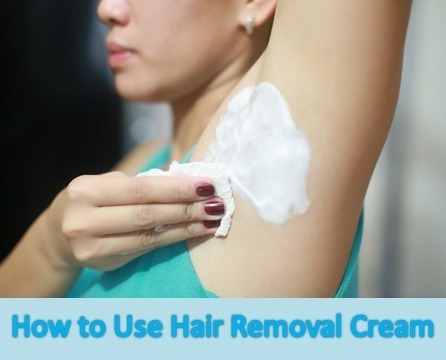 Using hair removal creams is the good and famous DIY method to get rid from unwanted hair. Hair removal creams come in several varieties so you will need to choose the right one as suitable for your skin either for oily, dry and sensitive skin. Do not choose it the strong as it will keep your skin irritated and if you choose too mild cream, patchy hair growth will be seen after. Before choosing the cream, if you do not have an idea then you should always test the cream on your arm or leg. Simply apply the cream on the area where you see hair then wait for at least 15 minutes. After 15 minutes, use spatula to clean up the hair then wash it gently with water. While applying cream, if you feel burning sensation, immediately clean up the area with water. It is a hassle-free method. If you have sensitive skin, it will cause redness. Cream contains strong chemical odor that will stay on the skin for sometime and will cause burning sensation. Waxing is a painful method as everyone knows but it gives a soothing and clean result of getting rid of hair removal. After first time wax, the hair will reappear very slowly. On the other hands, it needs extra effort and is painful method. You may find DIY kits available in the markets so it would be best to practice yourself instead of spending money and time in salons and bears hurting. First notice the environment of working in the salon and be sure that they are using disposable wax strips. Let the expert know that wax is too hot as compare to its requirement. After done with the treatment, the area will have redness. Apply a cold cream or ice cube on the area then wear comfortable underwear. Wax will leave your skin soft and smooth for the long period of time. Leaves your skin smooth and silky. Your weeks will spend with no hair growth. Get it done by a salon expert. Skin will numb after the treatment. Brazilian wax is known to be an easy and wonderful wax around the West but it gradually spreads up into other areas too. It is quite a painful method as compare to the common waxing method. 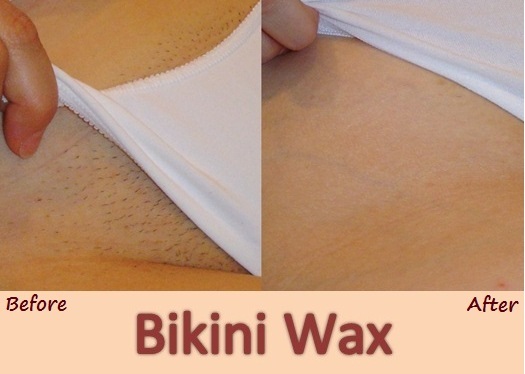 Brazilian wax works like a common wax but it completely cleans up the bikini area and makes it hairless but for this purpose, you need to bear up all the hot method. It is a kind of special wax through which you can have patterns with the strips of hair. Some people like to color the hair strip as well. check out, how to do a Brazilian wax yourself at home in 12 simple steps. Before starting the procedure, salon experts use anaesthetic cream to numb the area so you would not have to bear the pain as it is very painful. You must have try for the first time in other area using Brazilian wax before applying in the bikini area. Apply ice cube or other soothing cream then wear comfortable underwear. Your bikini area will remain clean and hair-free for weeks. Thickness of hair gone by the time. You need to wait for the hair to grow completely while going to do the Brazilian wax. It is extremely painful process. Laser hair reduction is also a worldwide famous technique done under the supervision of medical expert so that it could be done correctly. It is said to be a best method to get rid from the unwanted hair and is completely safe. In laser hair reduction, a laser beam is throw out on the hair follicles and hair will pluck out from the roots and conclusion is the permanent hair reduction over a period of time. Expert will apply anaesthetic cream but as bikini area is a sensitive case so you will definitely feel a minor pain and tingling effect while going through the procedure. 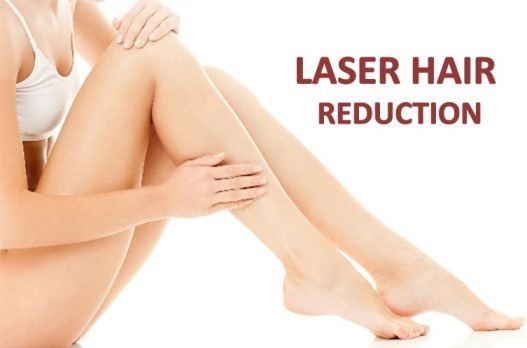 Laser hair reduction will grow your hair very lighter and thinner for the next time. Trim the bikini area before going to perform laser hair reduction. Laser hair reduction is not allowed during menstruation. It is such a wonderful method for dark people who have thick hair growth. Hair becomes fine after re-growth. It is quite a permanent solution.